Chicago Sports and Novelty Shop, 174 N. Michigan Ave., was robbed on Monday. 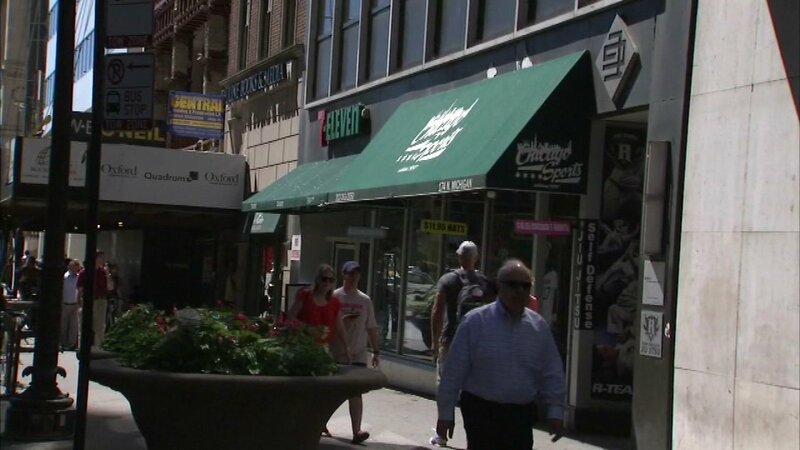 CHICAGO (WLS) -- A Chicago Sports & Novelty Shop employee was injured Monday morning during a robbery at the Loop store, police said. The thieves hit the store, located near North Michigan Avenue and East Lake Street at about 11 a.m. The store's owner told ABC7 that cash was stolen. Police have not said whether they have made any arrests.